Ocean Science Trust (OST) is exploring a class of tools called ecological risk assessments (ERAs) that may help the State prioritize fisheries for fishery management plan (FMP) development, as well as inform management actions for individual fisheries and guide plans for future data collection and monitoring activities. This project is being developed for consideration by the California Department of Fish and Wildlife (CDFW) to help inform the state’s process to amend the Marine Life Management Act (MLMA) Master Plan. All final products from this project will be submitted to CDFW for review and may be integrated, in full or in part, into a draft Master Plan Amendment. Additional information about the amendment process, including key resources and opportunities for stakeholder engagement, is available here. In 2016, a NOAA PSA was conducted on 45 units of analysis as part of an information gathering process related to California’s MLMA Master Plan Amendment. 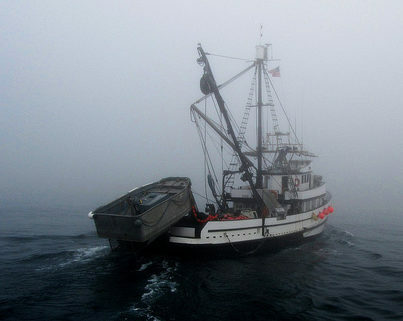 The NOAA PSA methodology was selected for its inclusion of attributes that evaluate the management strategy and value of a fishery, along with its ability to generate and consider a data quality score. The analyses were conducted by MRAG Americas, Inc. with input and review from CDFW experts. The list of fisheries for analysis represents a diversity of stocks that span commercial and sport sectors, gear types, coastal areas, and include finfishes and invertebrates. It also represents those state-managed fisheries with the highest commercial landings, recreational catch, or commercial/recreational participation, as evaluated by CDFW. More information on the methods, interpretations, and results can be found in the PSA report online here. CDFW, with funding from the Ocean Protection Council, requested that OST research, develop and pilot-test a risk-based decision framework that advances the goals of the MLMA with regard to prioritization of fisheries for management attention, and is transparent, cost-effective to implement, and scientifically rigorous. 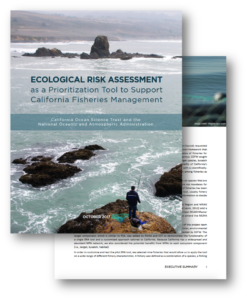 CDFW sought an ecosystem-based management tool that could assess three ecosystem components: target species, bycatch species, and marine habitats. CDFW was also interested in considering the potential benefits of California’s network of marine protected areas. The goal of this project was to provide CDFW with a scientifically vetted pilot test of an ERA that could inform the prioritization among fisheries as part of the MLMA Master Plan amendment process. OST worked closely with experts Jameal Samhouri and Joe Bizzarro, NOAA Fisheries West Coast Region, to pilot an ERA adapted from Samhouri and Levin, 2012. 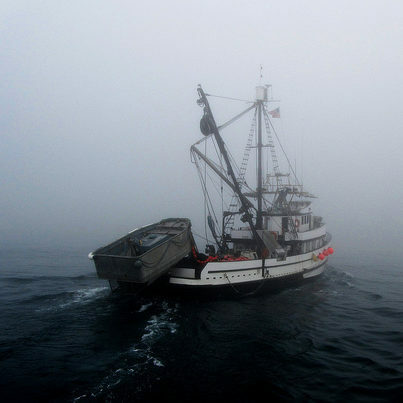 The pilot was conducted on nine California state marine fisheries with a range of different characteristics. More information on the methods, interpretations, and results can be found in the ERA report online here. Two workshops, one in northern California and one in southern California, were held in June and July 2017 to explore the role that ERAs may have in prioritizing and informing the management of California fisheries. 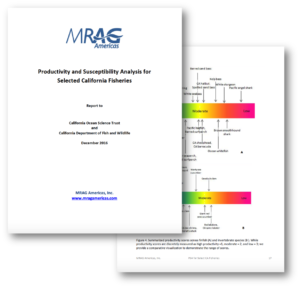 Review draft ERA scoring for five pilot fisheries as examples for considering target species, along with habitat and bycatch risks, and provide feedback on the tools related to CDFW and stakeholder priorities. Explore PSA, another type of risk assessment, which focuses on the risk of fishing activity to fisheries, and its preliminary results. Learn about the Marine Life Management Act (MLMA) Master Plan amendment process, including how ERA may support CDFW’s broader prioritization goals. The project team included California Ocean Science Trust, the California Department of Fish and Wildlife, NOAA Fisheries, and the California Ocean Protection Council. This work is funded by the California Ocean Protection Council. Experts Jameal Samhouri and Joe Bizzarro, NOAA Fisheries West Coast Region, helped to develop and customize the ERA pilot tool for California. CDFW fishery experts who participated in the pilot project included Paul Reilly, Heather Gliniak, Travis Buck, Marty Gingras, and Ryan Bartling.